He was Commissioned in 9th Battalion the Dogra Regiment. An alumni of Sainik School, Kapurthala and a graduate of the National Defence Academy, Khadakwasla, he has done his M Sc from Defence Services Staff College, Wellington; M Phil in Defence and Management Studies from Army War College, Mhow; M Phil in Defence and Strategic Studies from National Defence College, New Delhi, MA from Kings College London while he was attending the prestigious Royal College of Defence Studies course in United Kingdom. The General has held varied Command, Instructional and Staff appointments. 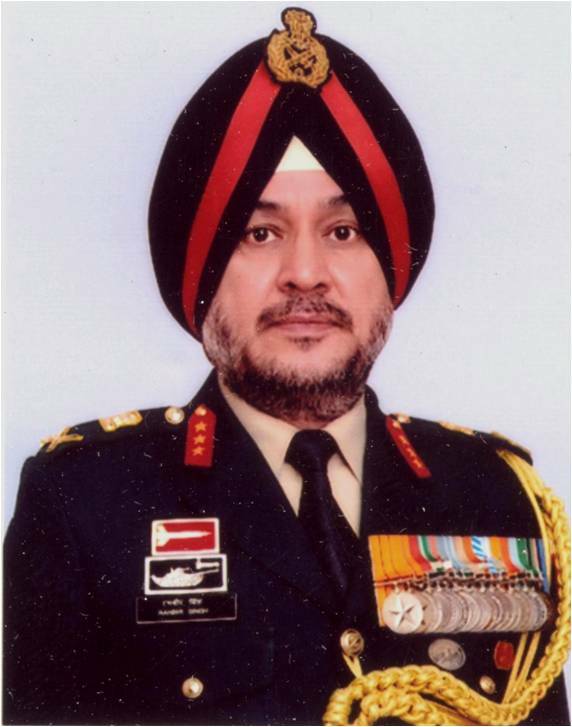 His Command assignments include Commanding Officer of 9th Battalion the Dogra Regiment, Commander of a Mountain Brigade in Counter Insurgency Operations in the North East, General Officer Commanding of an Armoured Division and General Officer Commanding a Strike Corps. He was the Deputy Chief Of Army Staff (IS&T) before he took over the Northern Command. He has also held a number of important staff as well as instructional appointments during his career.